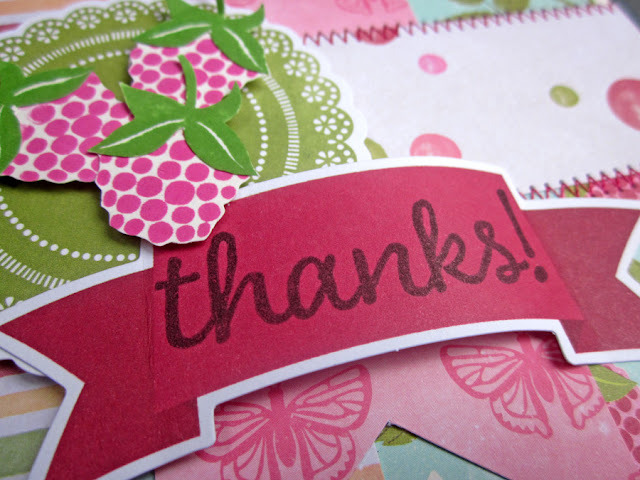 We all have a need for a “Best Wishes” type of card from time to time. Here is a crazy cute one for those girlfriends in our lives; don’t they deserve a blinged up owl trio? This card features brand new Hampton Art stamps and Jillibean Soup papers from the Saffron Yellow Pepper Soup collection. The floral base is from the new Saffron Yellow Pepper Soup collection, right on trend I think. The owl trio was stamped onto ivory cardstock in brown ink. Then from that same collection the blue pattern was cut as a mat and adhered to the base. 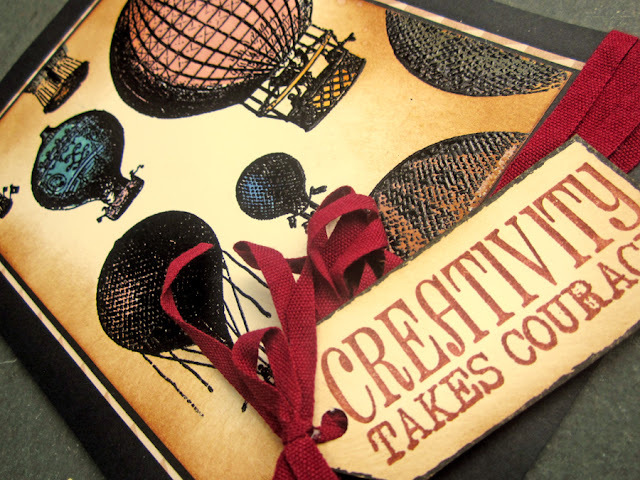 The sentiment was stamped onto a notebook tag, back side in brown ink. 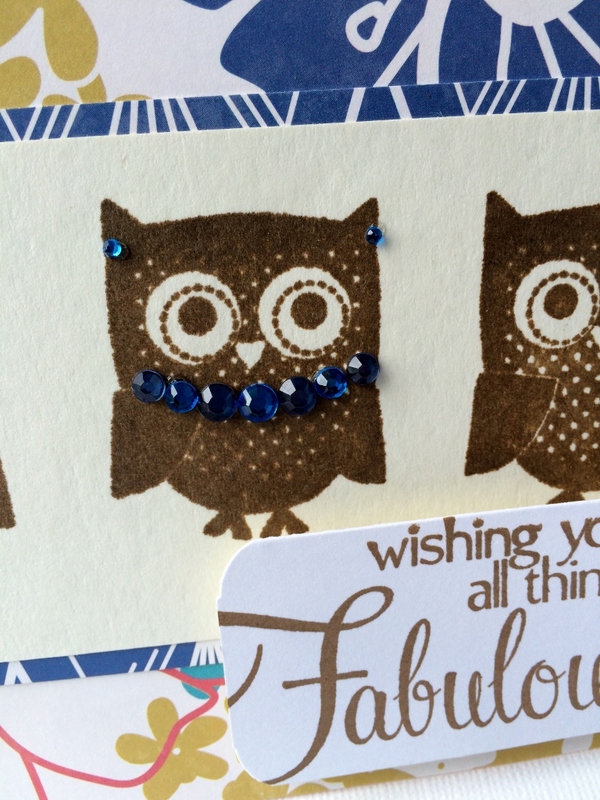 Then all that was left was to make Owl #2 Fabulous, so I added the two shades of blue gemstones as a necklace and earrings. 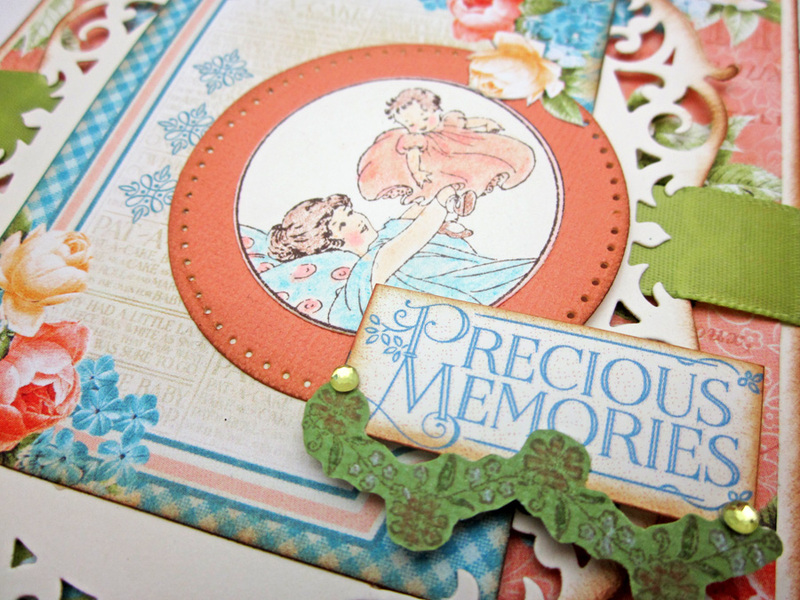 Such a fun way to finish the card off, I believe-with just the right amount of bling. 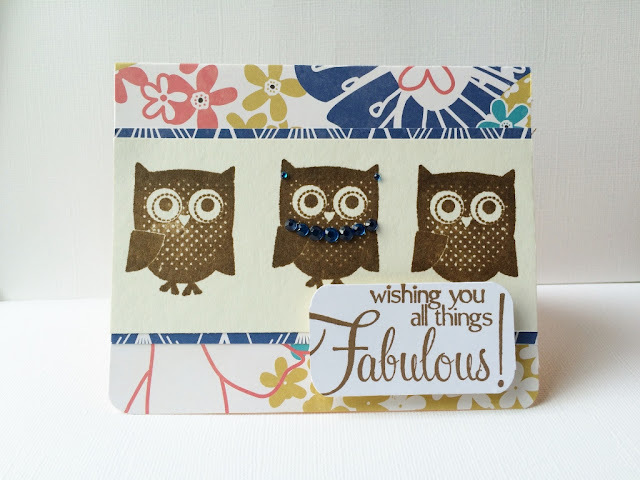 This fabulous feathered trio is bound to bring a smile to your friend’s face, so make one today- or better yet make a few to keep on hand. Hello, everyone, and welcome back to the Hampton Art blog! 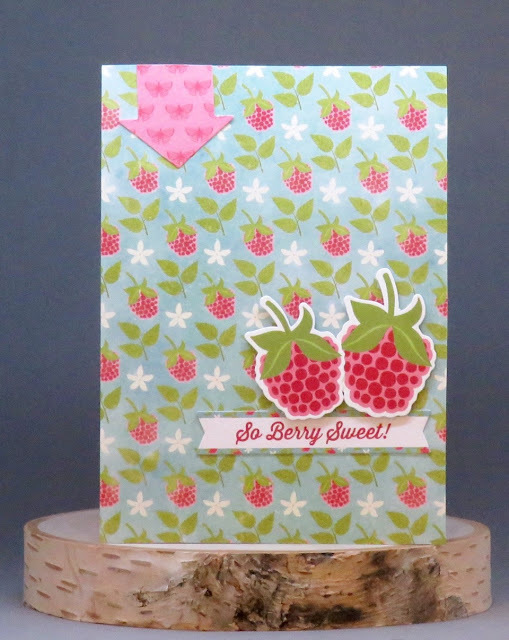 Today's card uses Summer Red Raspberry Soup products from Jillibean Soup - which is my favorite line from the latest release! 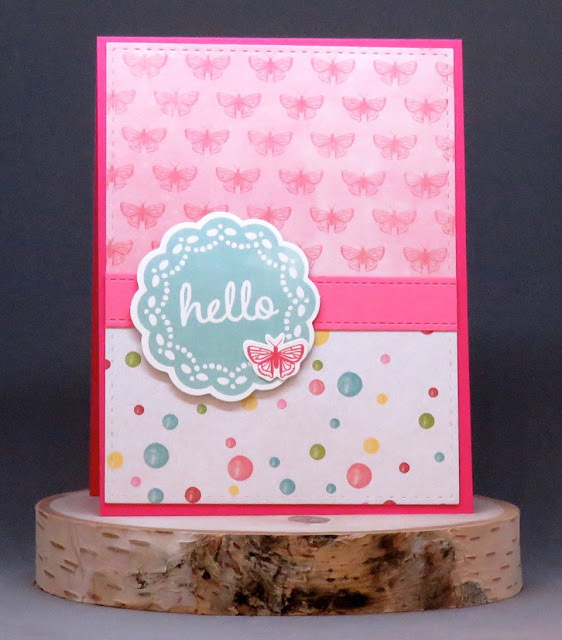 Make a 3.5” x 5” card base. Die cut main panel, dry emboss, and adhere to card. Die cut tag and stamp doily. Die cut and/or punch various sized circles and one heart from patterned papers and adhere to tag along with Pea Pod sentiment. Ink wood veneer flower, coat with EP, and heat set. Adhere wood veneer flower and enamel dots. 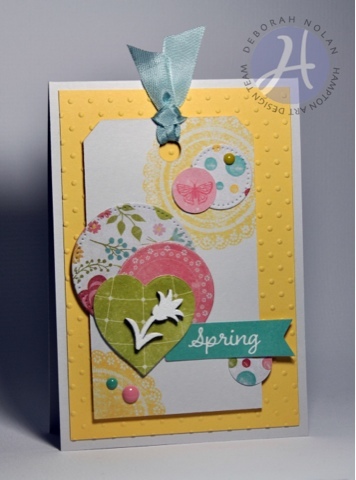 Thread tag with ribbon and and adhere to card with foam dimensional tape. Welcome to the Hampton Art blog! 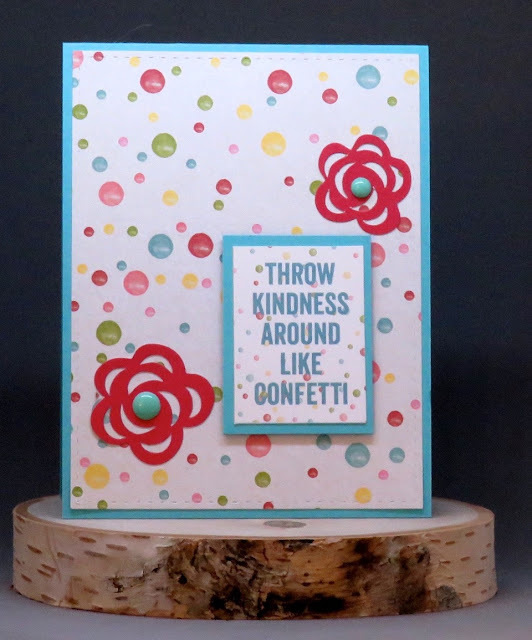 Today's card uses die-cuts, patterned paper, and stickers from the Hampton Art / Jillibean Soup line called Summer Red Raspberry Soup. June is the month to celebrate our hard working Father’s, and an excuse to use this crazy cute new Hampton Art fox stamp! 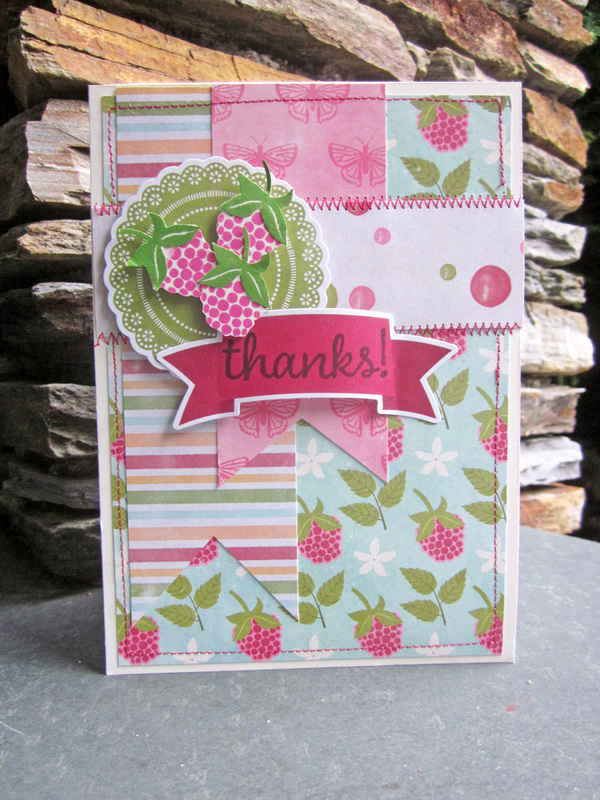 Combined with some new Summer Red Raspberry Soup papers and another new clear stamp set, the results are irresistible. To begin I dug deep into my vintage Jillibean stash and located an all-time favorite for the base, Milk from the Apple Cheddar Soup collection. It helped create my forest/nature theme with it’s dark brown woodgrain pattern, next I layered on the new Saffron Yellow Pepper Soup green woodgrain paper, “Cubed Potatoes” as a mat. Using my sewing machine with white thread I stitched on a cut-out bite size bits (backside) for the panel to display the sentiment side. The next three stamps I used from the new clear stamp set SCO687. Using that grid paper to help measure the center, I quickly added the wreath topper and bottom in green ink. 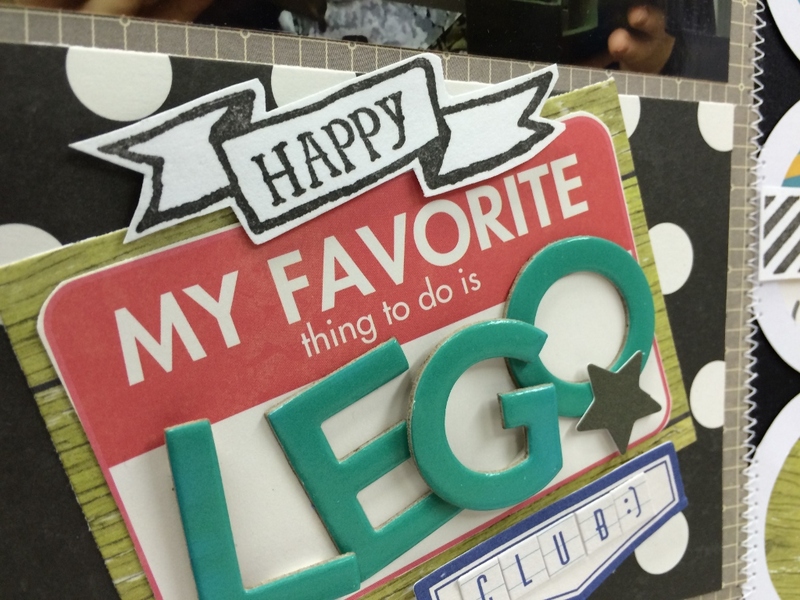 The “happy” banner was stamped in brown ink and then fussy cut out to add onto card with 3D foam dots. Then I added the “FATHERS” alphabean stickers in Gumbo Green, to finish the sentiment I then added “DAY” in Braised brown alphabeans. 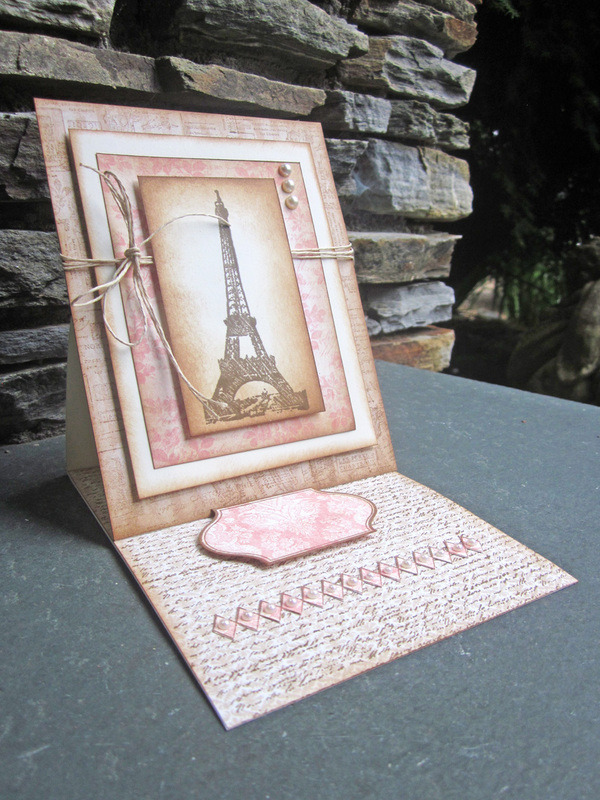 Then I switched to the other side of the card and used a Stampables Woodgrain mini bag layered onto the green mat. That way I can slide in my hubby’s favorite giftcard, probably Cabela’s. Then on plain white cardstock I stamped the 2 fern stamps from the SCO684 clear stamp set in two shades of green. 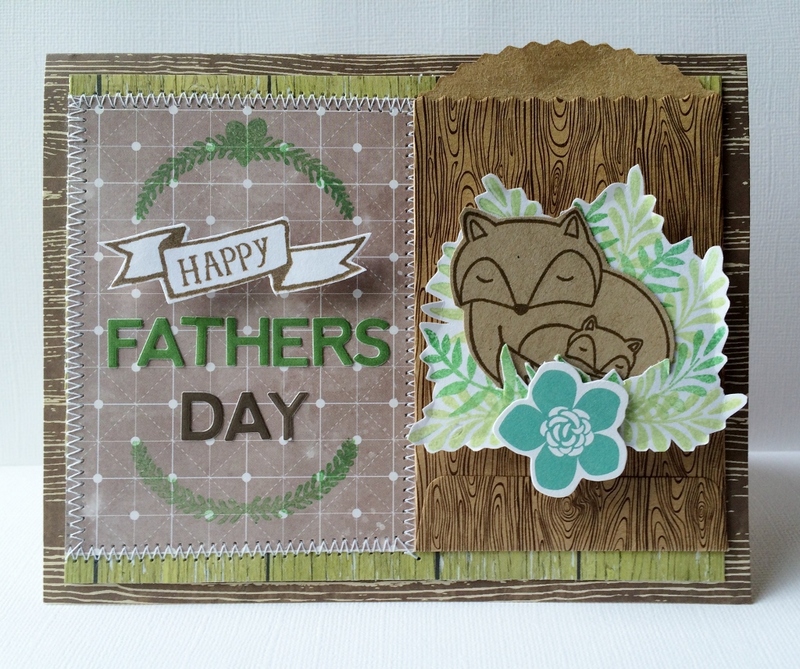 Then I stamped the fox pair onto plain kraft paper using brown ink and fussy cut them out. Next I used my scissors to cut out a slit in my fern stamps to allow the foxes to nestle down into their happy nest. Then I folded up a few of the fern tips and adhered to card with 3D foam dots. Last I added a peapod flower from the Summer Red Raspberry collection in blue. 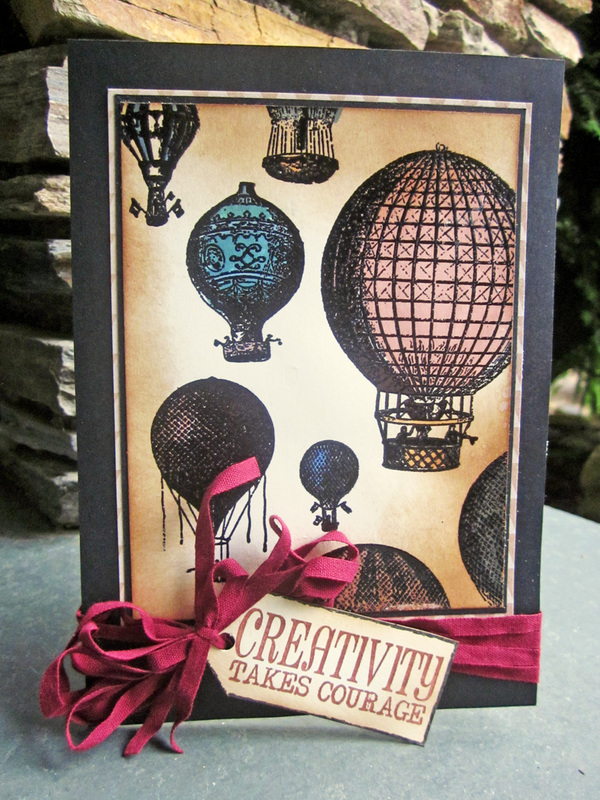 There you have it a sweet card/giftcard in one combo perfect for Father’s Day or any occasion. 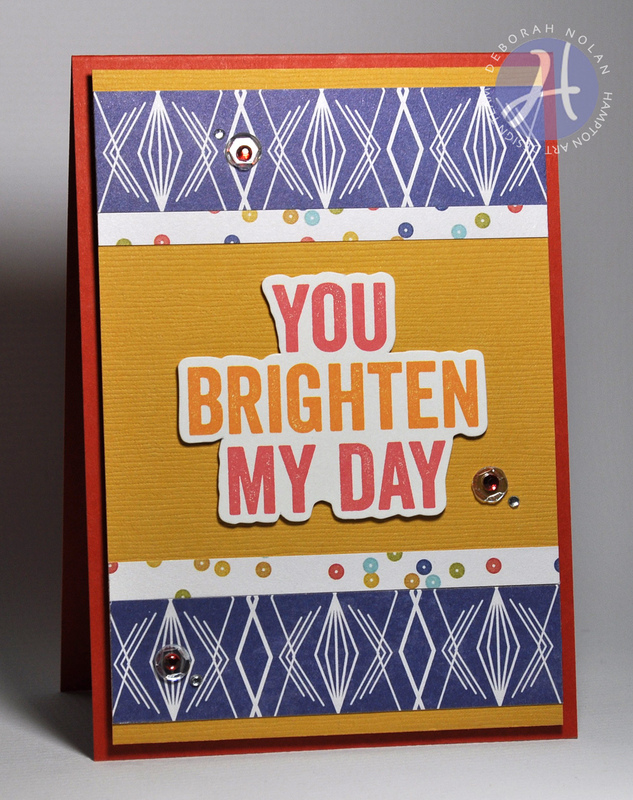 Just by changing the sentiment this card would work for Birthday, Babysitter, Mother’s Day, Baby even everyday friendship. I also want to shout out a great big thank you to all the hard working Fathers out there, we appreciate you! Good morning! I’ve got a couple fun cards to share today. I used the new “Summer Red Raspberry Soup” line from Jillibean Soup to make these. This line is so bright & cheery. It’s perfect for some fun greeting cards! I used patterned paper to make the base of the cards and both of them measure 4 ¼ inches x 5 ½ inches wide. The cards are embellished with die cuts and I used foam adhesive to give the cards some dimension. Thanks for looking! Have a great day! Welcome to the Hampton Art blog! Today's card uses die-cuts and patterned paper from the Hampton Art / Jillibean Soup line called Summer Red Raspberry Soup. Today's card uses Summer Red Raspberry Soup products from Jillibean Soup (love that stuff)! Die cut PP panels and adhere to copier paper. 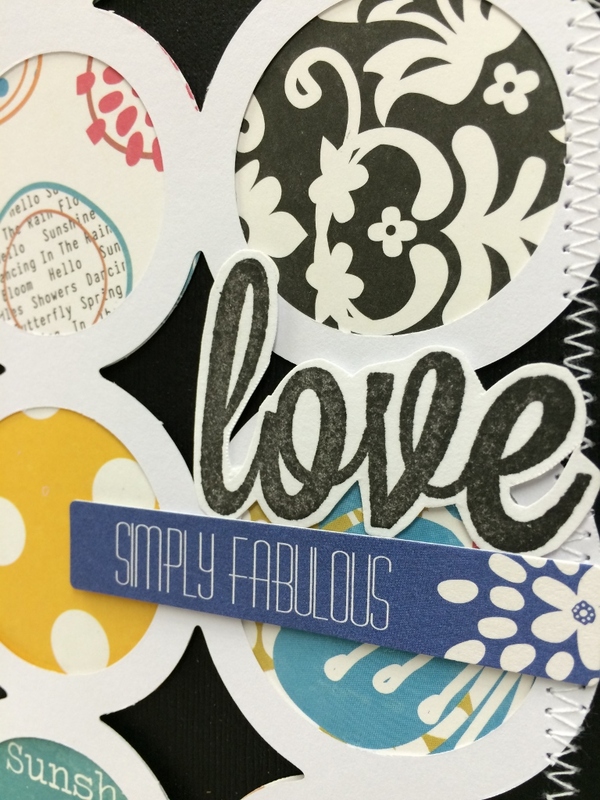 Die cut gold strip, dry emboss, and adhere over seam between patterned paper panels. 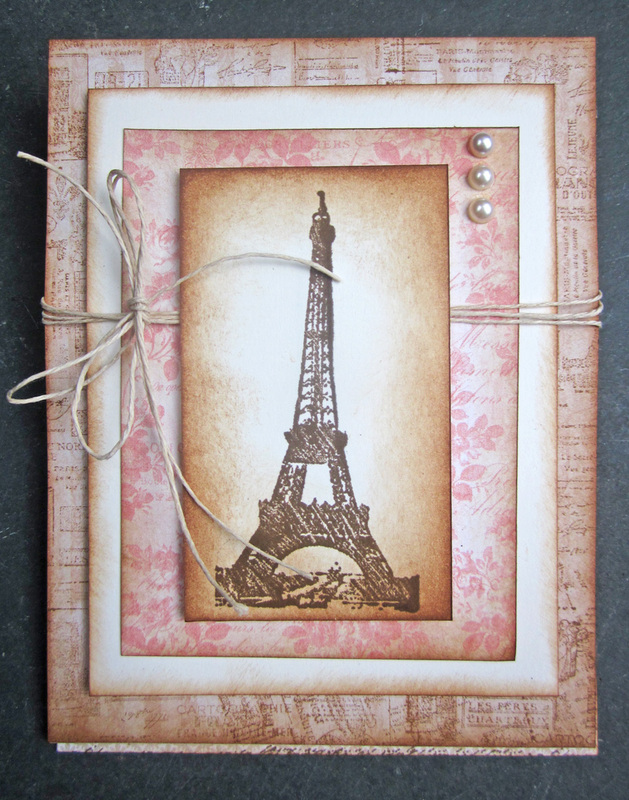 Wrap panel with cord, tie into bow, and adhere to card with foam dimensional tape. 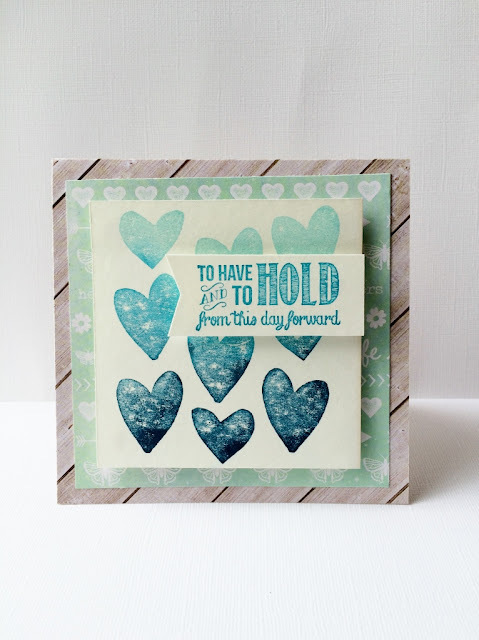 Adhere Pea Pod doily sentiment with foam dimensional tape. 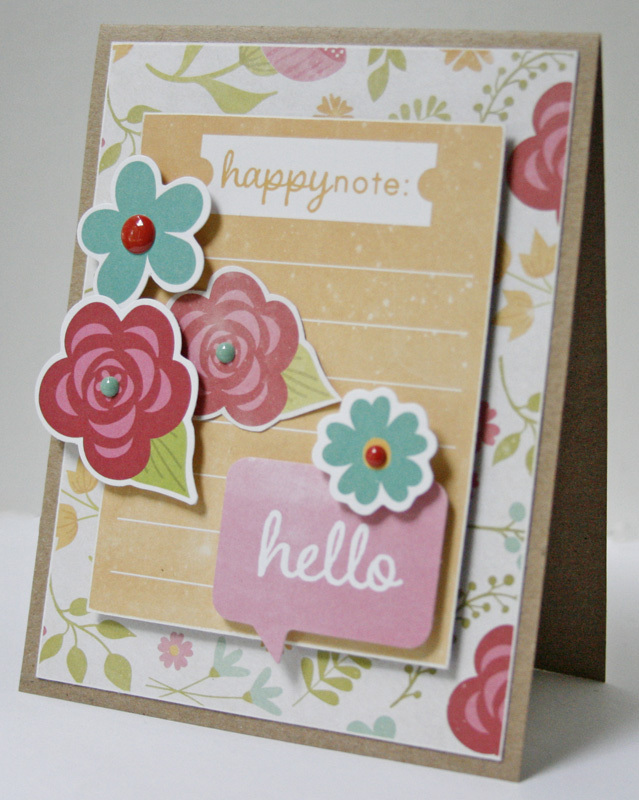 Adhere wood veneer flower, enamel dot, and gems. This time of the year usually mean lots of weddings to attend, so why not get ahead of the game and have some fabulous wedding cards ready? This one was created with brand new Hampton Art Cam & Chloe stamps and Jillibean Soup papers. 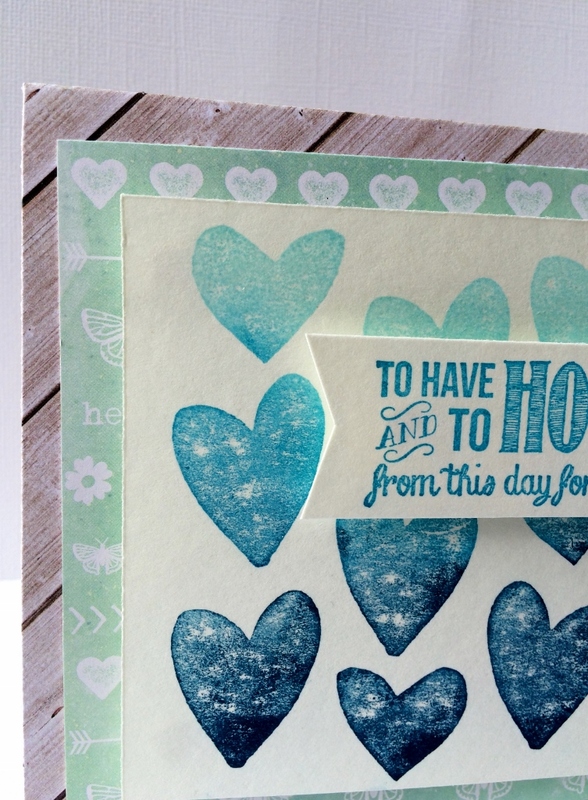 Done, a super simple wedding card worthy of a beautiful June wedding bathed in sunshine. You could also change the ink colors to match the couple’s wedding colors, for that extra personalized touch. Stamps: Jillibean Soup Summer Red Raspberry Soup Stamp Set. Welcome to the Hampton Art blog! 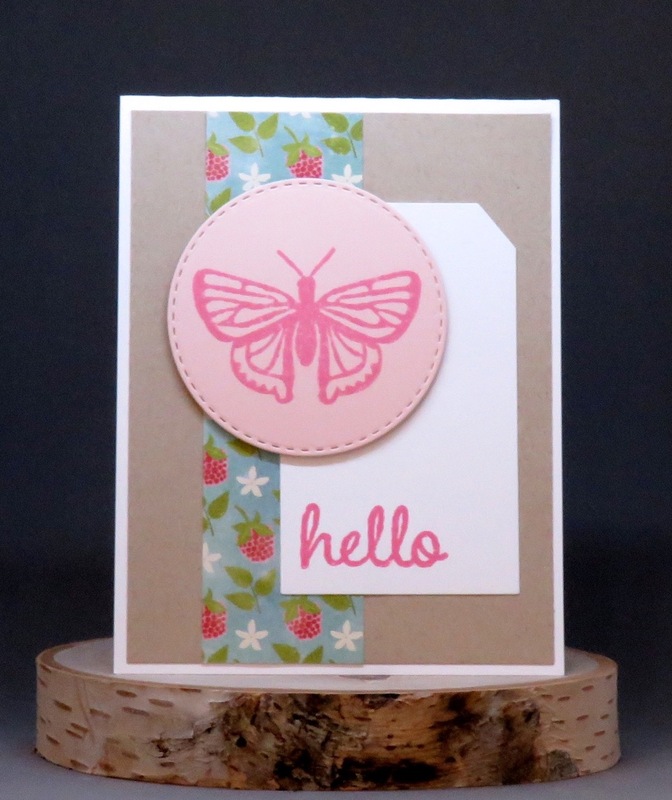 Today's card uses stamps and patterned paper from the new Hampton Art / Jillibean Soup line called Summer Red Raspberry Soup. Good morning! 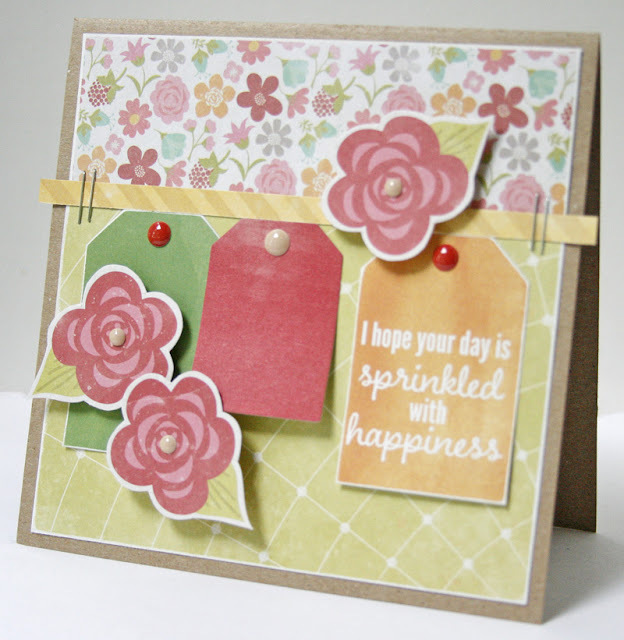 I’ve got a couple fun, flowery cards to share today. I used the new “Summer Red Raspberry Soup” line from Jillibean Soup to make these. This line is so bright & cheery. 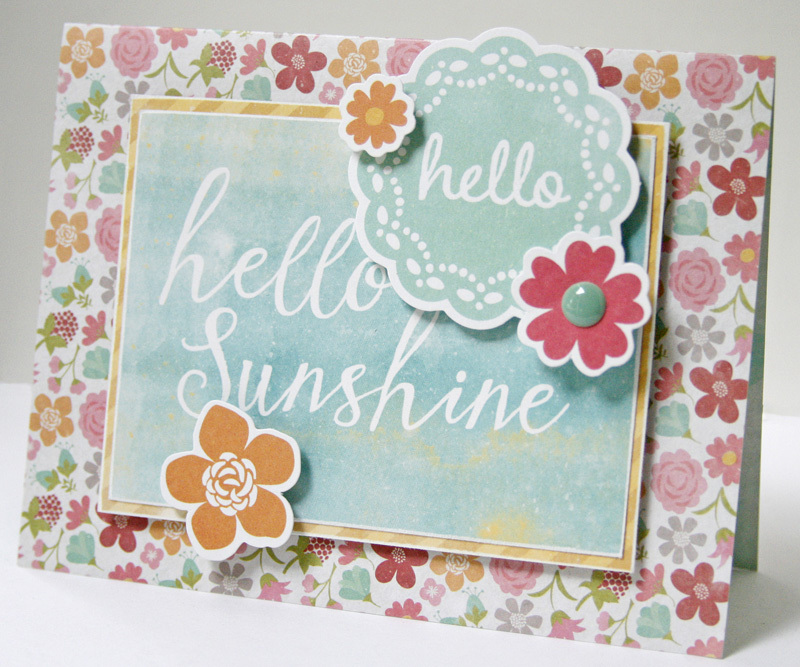 It’s perfect for cheerful greeting cards! 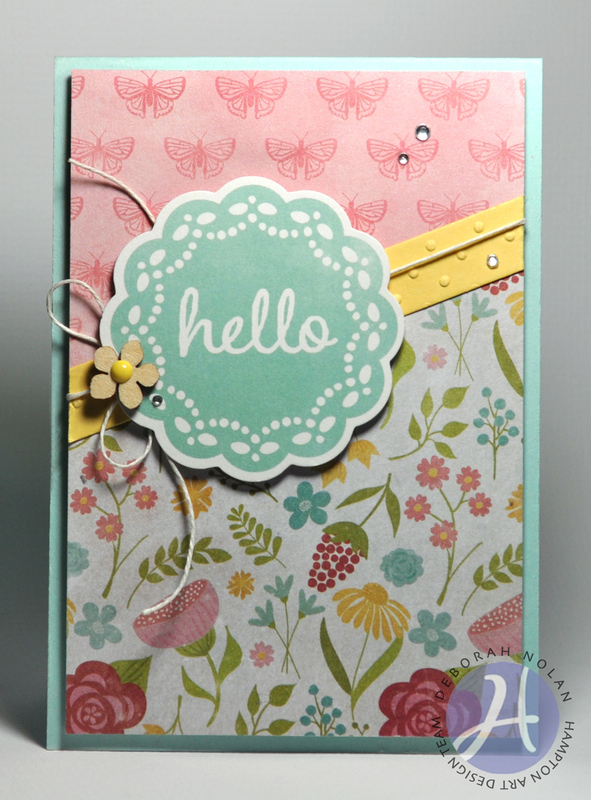 I used some kraft cardstock to make the base of the cards and then added the fun patterned paper. 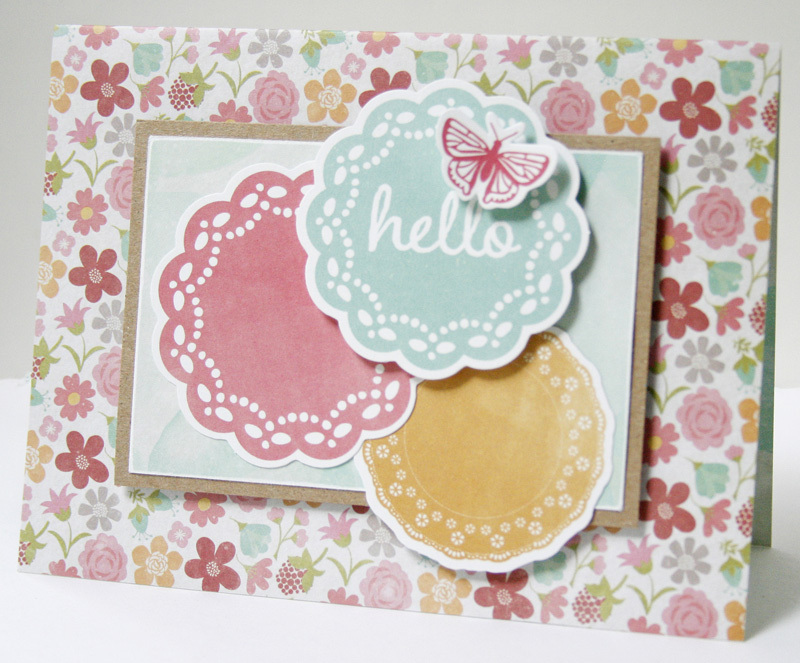 The cards are embellished with die cuts and flowers cut out of a sheet of the patterned paper. I used foam adhesive to give the cards some dimension and finished them off with enamel dots to the center of the flowers. 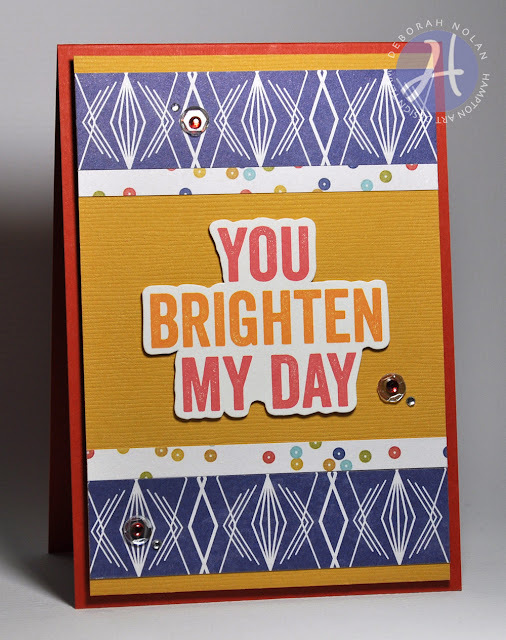 Today's card features Saffron Yellow Pepper Soup products from Jillibean Soup. 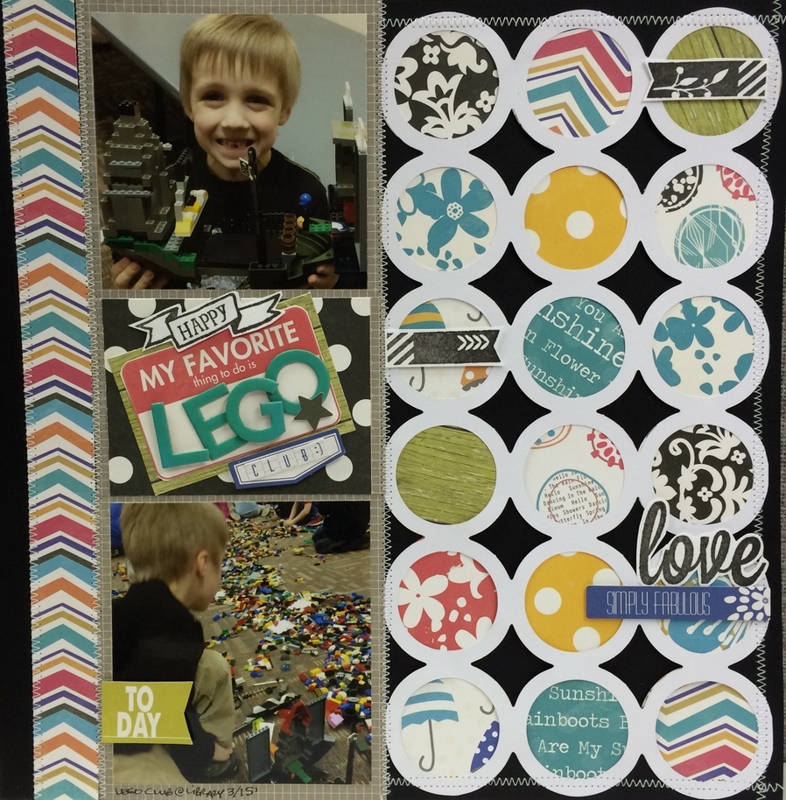 Cut 6 rectangles of patterned paper and adhere to top of card. Die cut border and adhere. 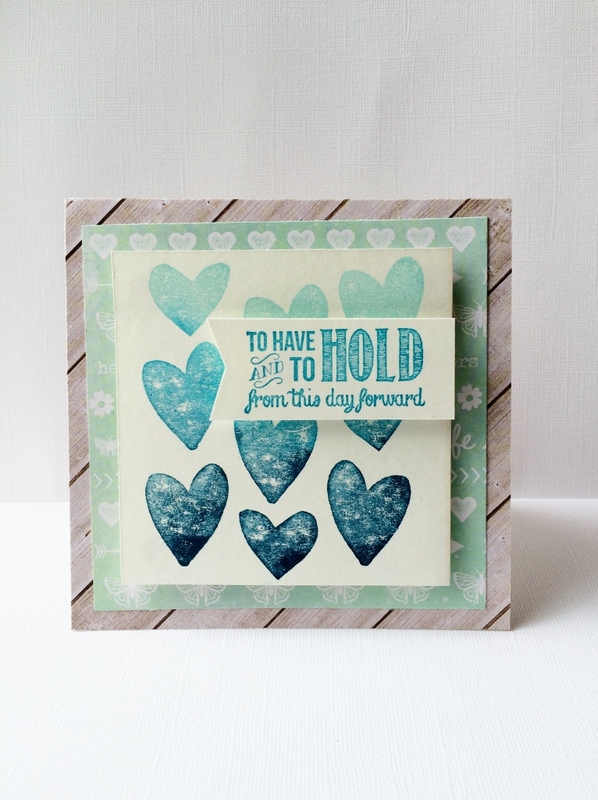 Adhere blue strip to cover where patterned paper meets border and wrap card with cord. 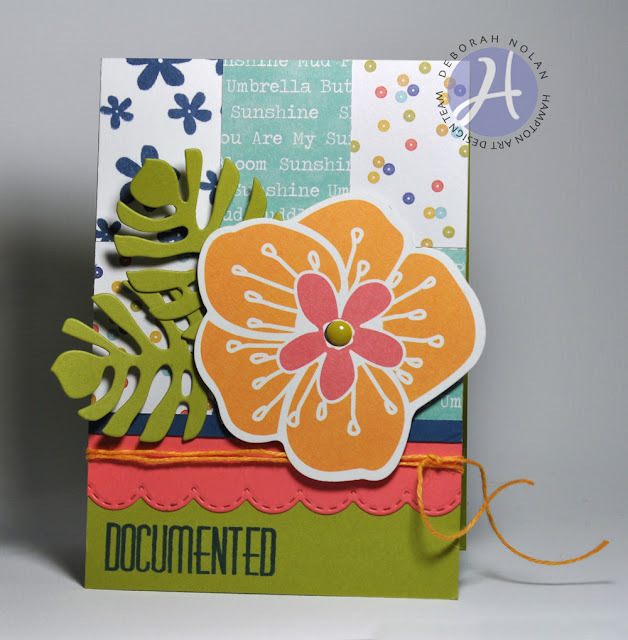 Die cut and adhere leaves. Adhere Pea Pod flower with foam dimensional tape.